I had originally planned on a 4 day trip on Skyline Drive & the San Rafael Swell... but reports from all over were that the southern portion of Skyline Drive as we planned to drive was still impassible due to snow. It was time for "plan B". I called up Steve and Tom and we started altering our itinerary. 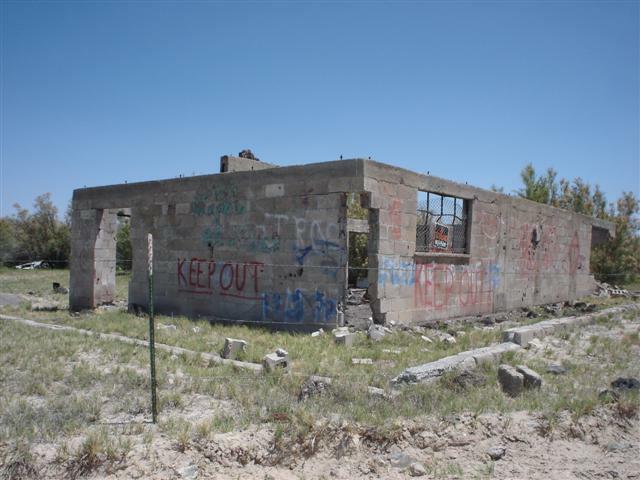 There are countless of sites I had wanted to check out all over the west side of Utah and eastern Nevada. With my brother in law Thomas driving his 80 Series Landcruiser, my buddy Steve in his International Scout, and Jada and I in the Tacoma (Candace was in Canada for work)… it was sure to be an adventure. 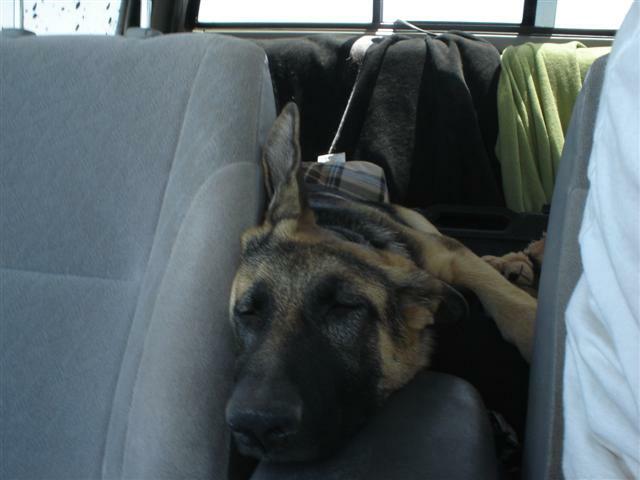 We were on the road in the late afternoon, Tom and I arranged to meet Steve at the grocery store in Lehi, there we would grab some grub for the weekend and fill up on gas. 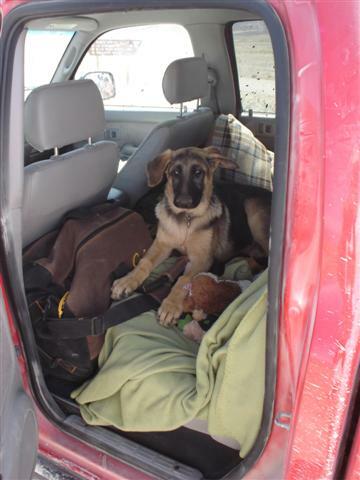 Steve arrived as planned; we loaded up the rigs and coolers, and moved along towards the Silver Sage Store in Vernon. From Vernon we traveled along the Pony Express Trail towards Fish Springs. 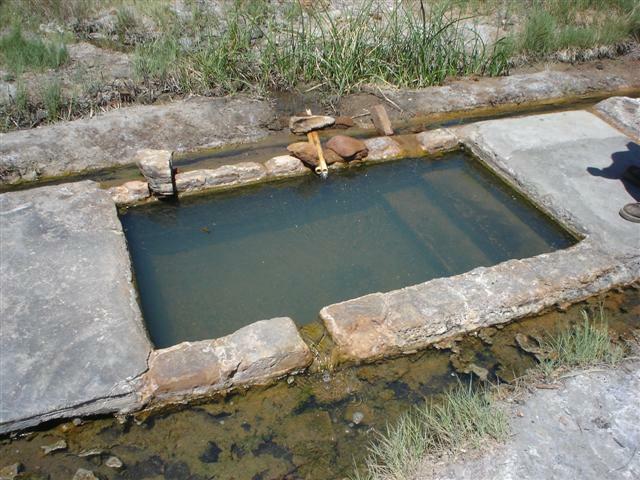 There is a small hot springs just north of the Fish Springs National Wildlife Refuge, I had driven out to the spring in the past and didn’t think it would be much of an issue. Much to my surprise the road was much softer than anticipate, before I could even find a spot wide enough to turn around, I was stuck. The more I tried to get free, the deeper the truck became. Soon the exhaust was under the surface of the mucky water and mud mix. Tom and Steve were quick to react; we attached Toms winch to the back of my truck, and were able to slowly pull the truck up and out of the bottomless mud. Towards the end of the mire we needed the assistance of Steve’s Scout to finish the extraction; with a couple tugs on the strap we were free. I had my share of the mud, and was ready to move along, Tom thought for a minute about trying to drive the remainder of the trail, he came to his senses and followed Steve and I back out. We finished the drive to Callao where we planned to meet some the Gold Rush Expedition group, whom we planned to spend the next day with, exploring the Gold Hill area. We hadn’t been in town more than 10 minutes when we saw their caravan of rigs rolling into town. 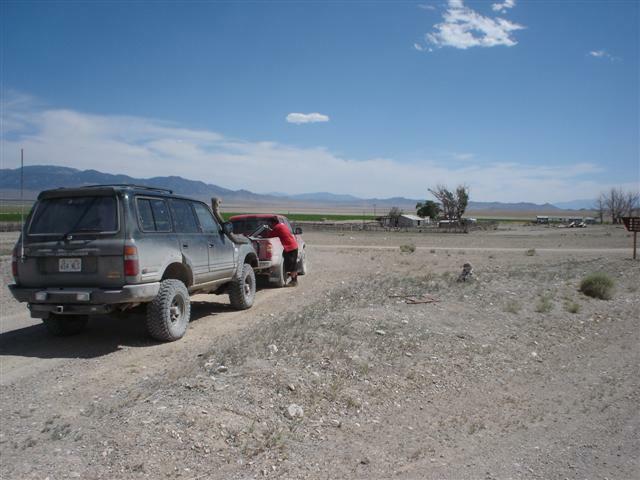 To our surprise they pulled into a rancher’s yard, we followed them and found out that the rancher had generously offered to let the GRE crew setup camp in his yard. 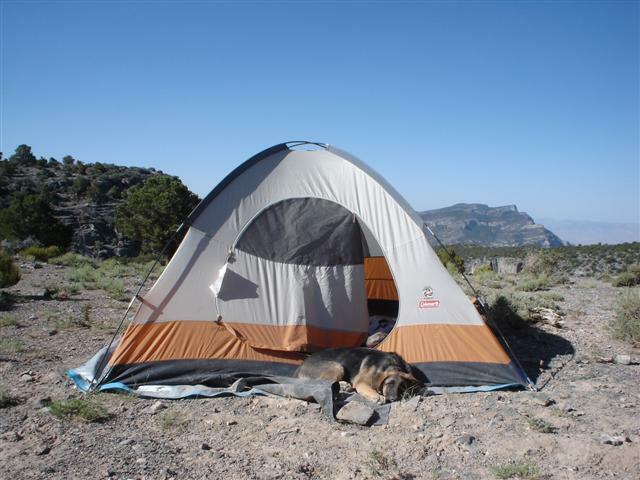 He had plenty of trees and lots of grass, so tents sites were abundant and a nearby fire pit would do the trick for most. 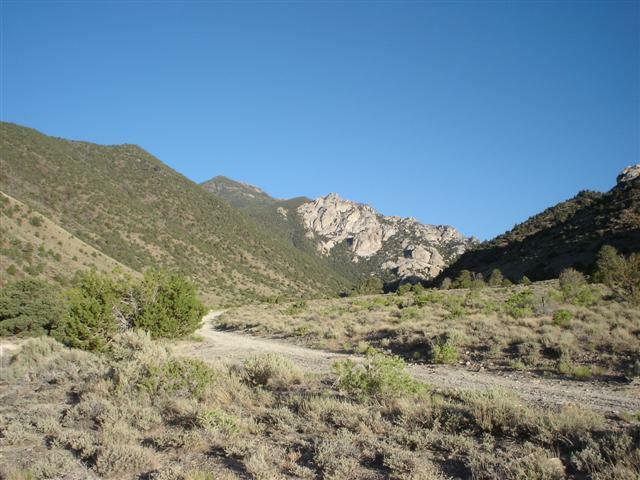 We opted to check out Granite Creek Canyon on the eastern slopes of the Deep Creek Mountain Range, approximately 10 miles from Callao. There we found a great campsite right along side the river, just enough to mask Steve and Tom snoring for Jada and I. Steve and Tom stayed up giggling until the early morning, while I hit the sack. The sun had us out of bed by 8am, great timing as we needed to be back in Callao by ~9am to meet with the GRE group before they rolled out of town. As we rolled into their base camp, they were just loading up the vehicles, perfect timing. 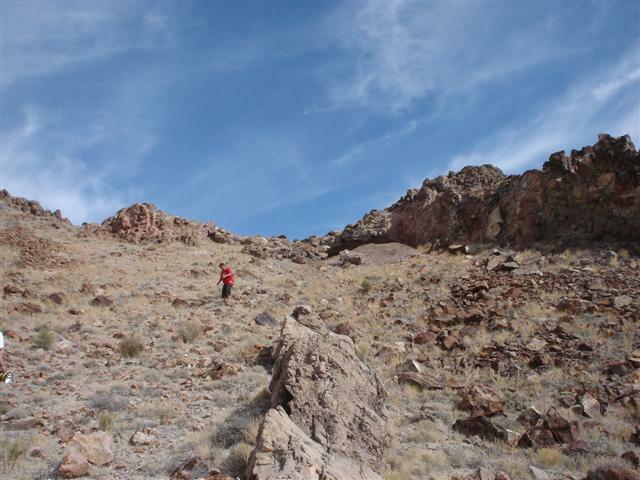 The GRE group had planned to travel to Gold Hill, UT to explore the Gold Hill Mine, much to our surprise we were joined by a local that had spent much of his younger years exploring the surrounding areas. 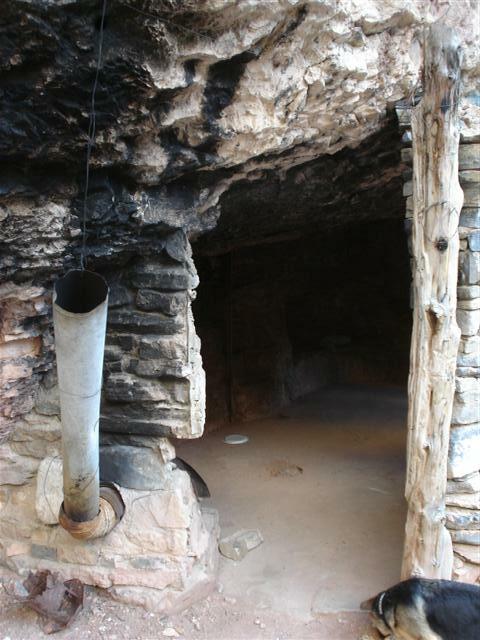 He treated us to a tour of an ancient Indian cave. 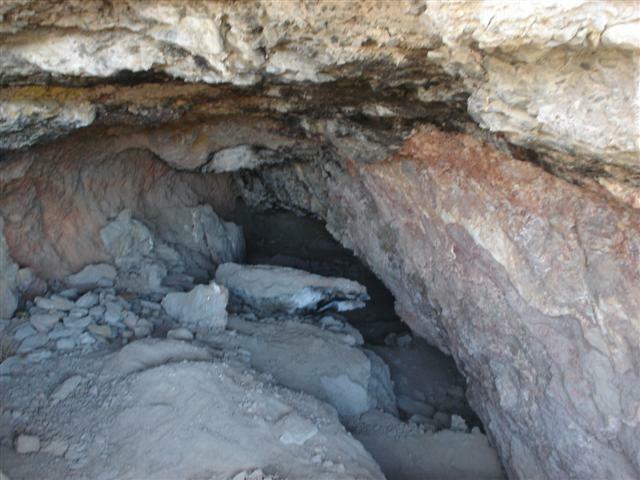 Local legend has it that the cave was originally used by native Americans, and later by Spanish explorers, local ranchers finally decided to let the BLM know about the cave some years ago and a team from the University of Utah did an archaeological dig in the cave. 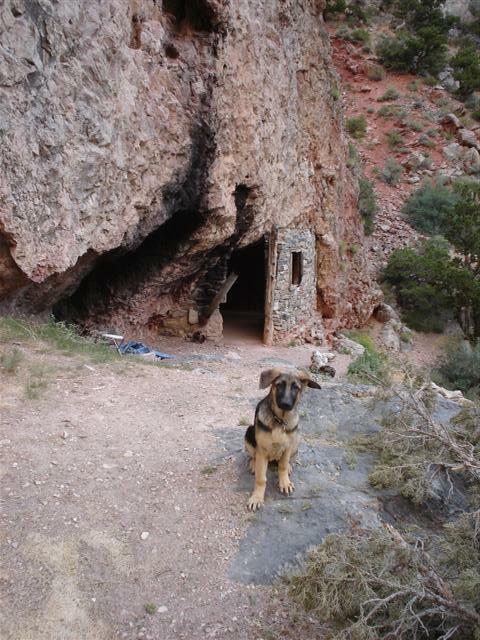 After a short visit to the cave, we loaded back into the rigs and made a quick trip up to Gold Hill where we stopped in the town proper, and then back to the site of the Gold Hill Mine. 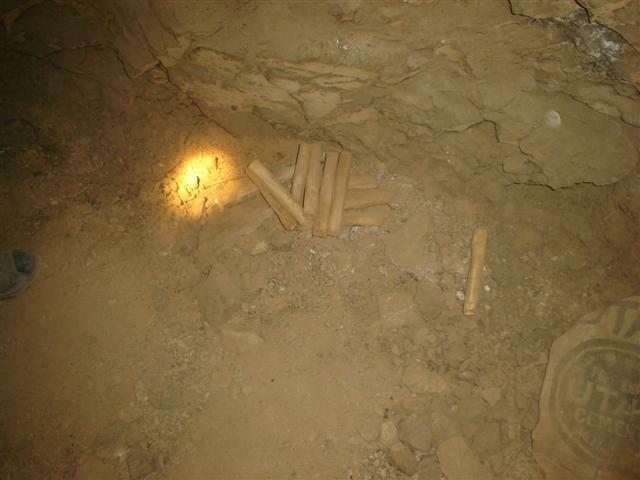 The mine was one of the larger producers in the area; its workings encompass a decent sized mountain. 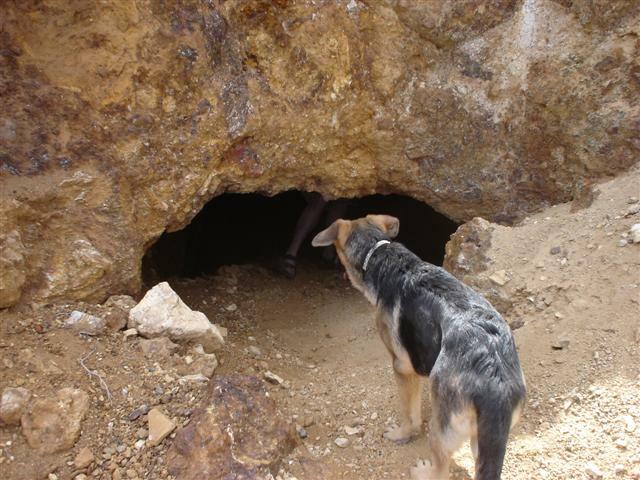 With Jada by my side, we explored the mines main adit, while others explored some of the shafts and inclines. Rickety wooden ladders climbed all over the mine like a game of shoots and ladders, only one wrong move could land you at the bottom of the 900’ shaft, likely in a pool of water. While the others continued in the depths of the mine, the remainder of the group enjoyed lunch in the sun and some target practice. One by one the group emerged from the depths of the mine, some covered head to tow in mud, water and dust. 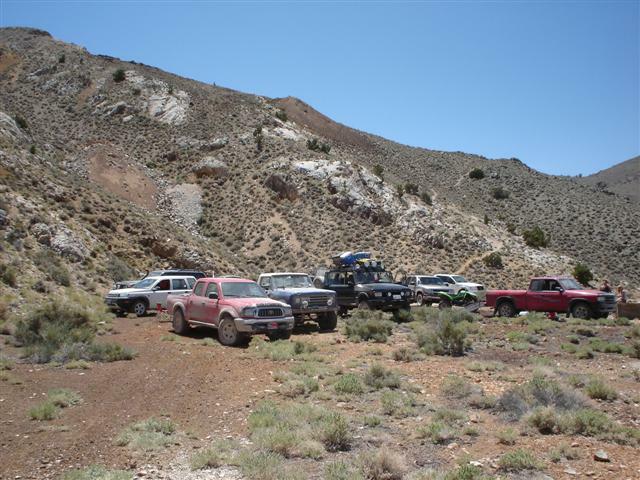 At this point we said our goodbyes to the Gold Rush group, they were very hospitable and vastly informing about the area, I can’t wait to get back out with them again! It was down to Steve, Tom and I again. We didn’t have a strict agenda, just random exploring and some sites we all wanted to explore. After looking over the map, we decided Ibapah should be our next stop. The Pony Express Trail leads right from Gold Hill to the highway just outside of Ibapah, we had only been back on the pavement for a couple miles when we arrived at the Ibapah Trading Post where we had planned to fuel. 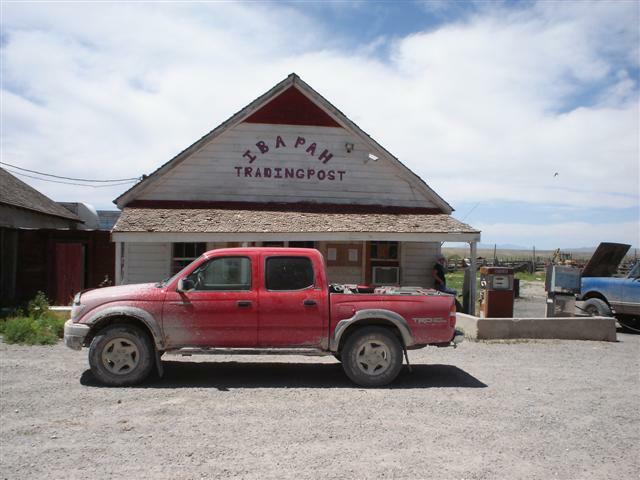 The trading post building was constructed in the late 1800’s; its construction and appearance are very similar to what I imagine it looked like over 100 years ago. The owners don’t make any improvements for a major reason; their building is “grandfathered”. If they upgrade anything, the state will force them to bring the entire building up to code; something they think will destroy the “history” of the old store. I agree. 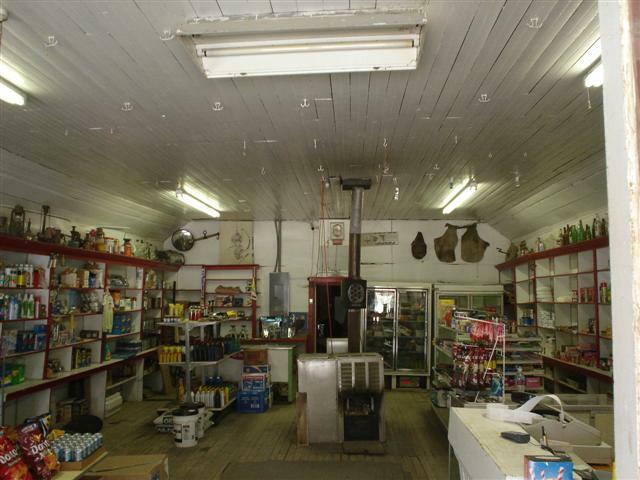 So for now, the store has cracked wooden floorboards, no running water, crude electrical and dusty shelves, I love it. The store has a single gas pump outside, and they have to manually reset it before each use, and watch where it stops. While it was a slow process, it gave us time to let the experience sink in. From the trading post we traveled further south into Ibapah proper. The town was once the home to a couple of hotels and restaurants; however it is pretty dead these days. 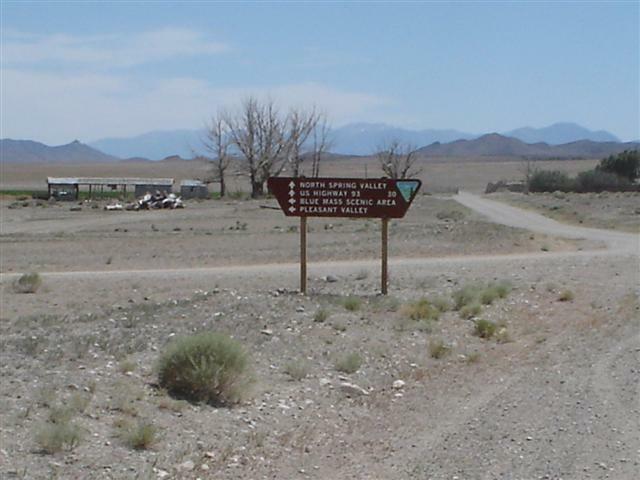 When Interstate 80 was constructed into Wendover to the north, the Lincoln Highway was literally abandoned, leaving towns like Ibapah with nothing. A real life Radiator Rapids. 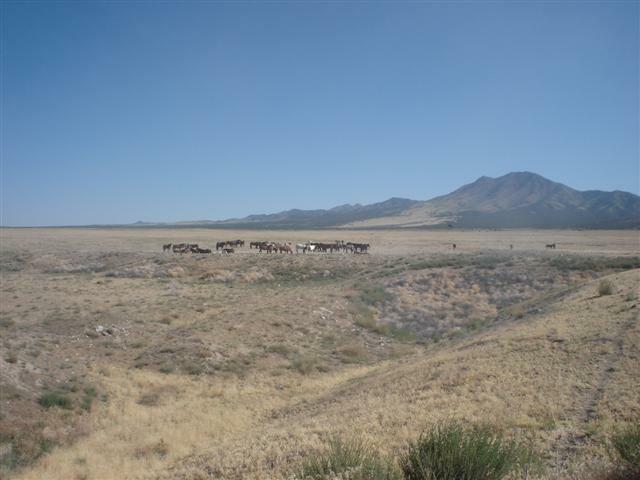 After Ibapah we continued along the Pony Express trail into Nevada. 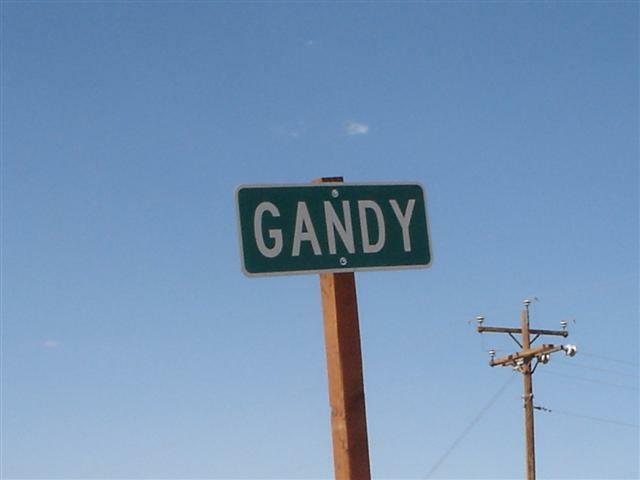 Our ultimate destination was Gandy, UT which lies almost directly south of Ibapah, however the Goshute Indian Reservation separates the two and no public roads dissect the reservation towards Gandy. 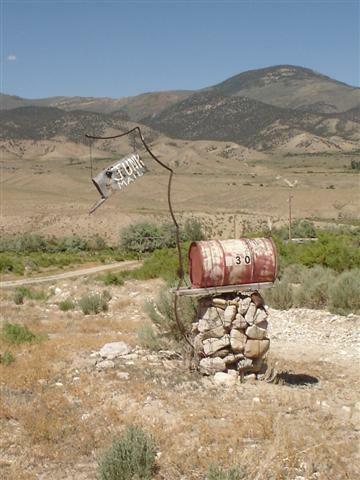 We turned southeast towards Utah at the small town of Tippett, NV. 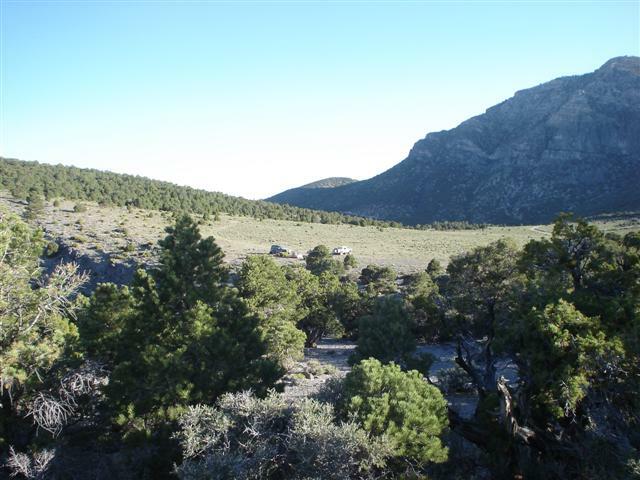 The Pleasant Valley Road took us up over the south end of the Deep Creek Mountains, through the small ranch town of Parker, NV and the Uvada Ranch which lies on the border of the two states. We continued along turning south along the Snake Valley towards Gandy. There isn’t much going on in Gandy in the afternoon, a dozen or so homes, a couple of barns and some cattle. 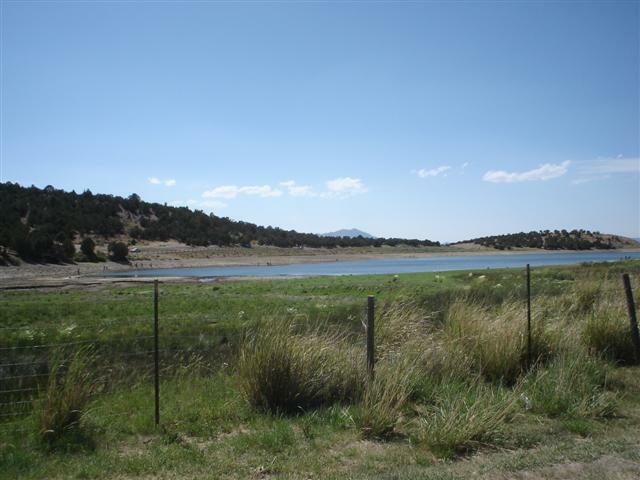 We wanted to escape the desert sun and find a swimming hole or lake to take a dip in, the Foote Reservoirs to the east offered a chance but none in our group had been there before so hopes were grim. Just as we were pulling out of Gandy towards the Foote Reservoirs, we past a pickup truck full of kids in swim trunks. I followed them back to their house, knowing they must have been swimming somewhere close, maybe they would tell us. Just as I presumed there is a warm spring just outside of town. The local graciously gave us directions and we were in search of the springs. 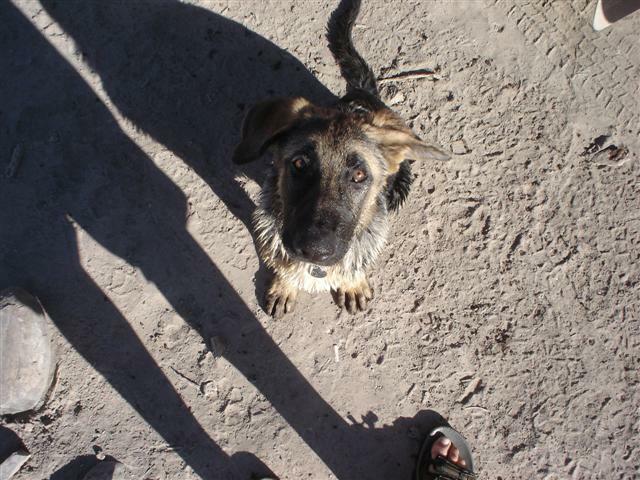 We spread out in the general area, staying in contact via the radios, I took one direction, Tom and Steve moved in the other. Before long I had arrived at the spring, and Tom and Steve were there minutes later. One couldn’t ask for a better swim hole, 80 degree water in the desert sun is more then perfect. 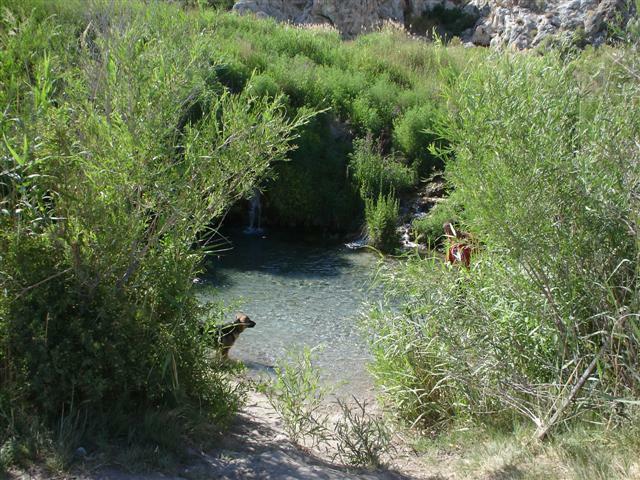 We spent the next hour lounging in the waist deep water, enticing Jada to swim and playing with the small fish that line the bottom of the dammed up spring. We had a lot of ground to cover if we wanted to camp at a higher elevation, so we loaded up and hit the road towards Cowboy Pass. Along the way we stopped at the Foote Reservoirs, the stagnant irrigation ponds were bleak at best compared to the Gandy spring. We crossed the Confusion mountain range at Cowboy Pass, elevation 5718. 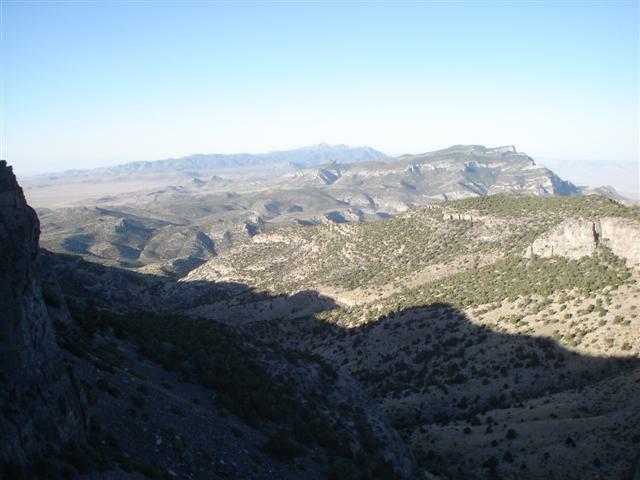 From there we crossed the Tule Valley, arriving at Marjum Canyon on the west side of the House Range. 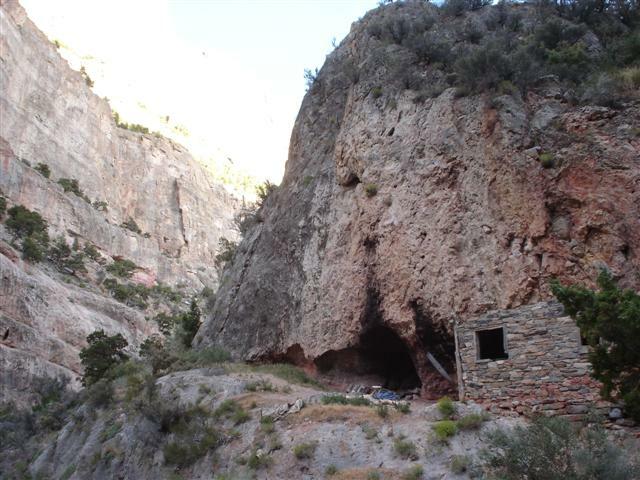 I had been told about a Hermits Cabin near the mouth of Marjum Canyon by a fellow from Delta, sure enough the cabin was there, neatly tucked against the towering cliffs that comprised the canyon. Tom and I hiked to the cabin, spent a few minutes checking out the mans craftsmanship and returned to the rigs. 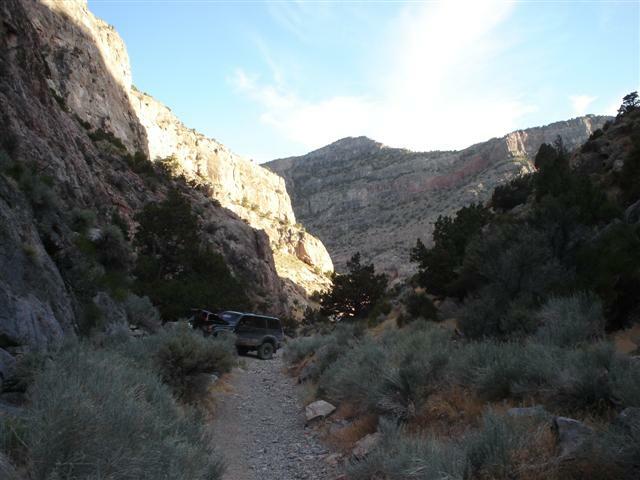 We continued along the Marjum Canyon Road, turning towards the Wheeler Amphitheater below Swasey Peak. 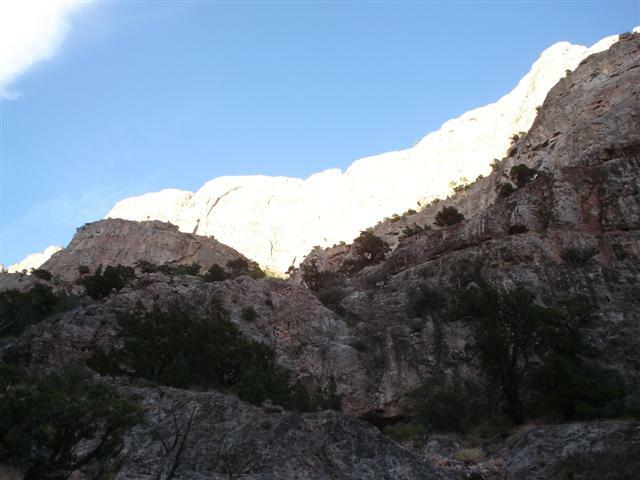 The map indicated an abandoned CCC camp near the summit, we didn’t find it in the dark and settled for a great camp site above Sinbad Canyon for the night. Despite the higher elevation, the sun had us out of bed long before I was ready. Steve didn’t have much fuel left, so we needed to find the most direct route into nearby Delta before he was completely dry. 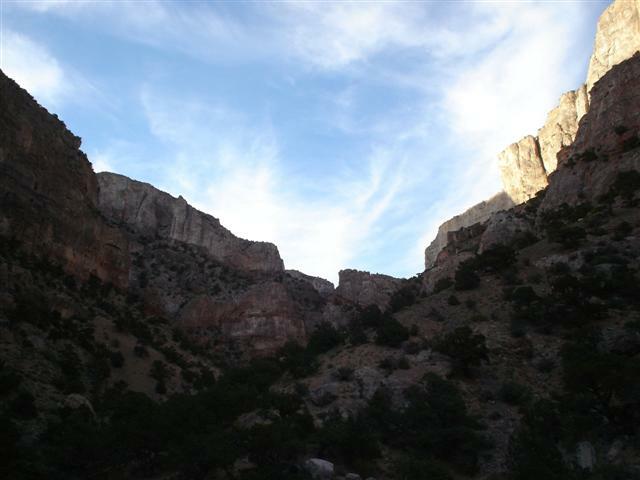 Turns out the Marjum Canyon Road took us right into town, just outside of Hinkley. From there we made our way to Delta where we gassed up, grab some cold drinks and enjoyed lunch at the city park. 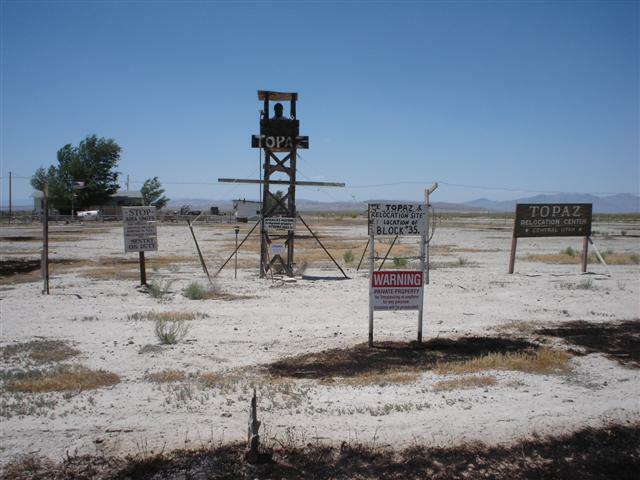 The Topaz Japanese-American WWII Concentration Camp site was located on the outskirts of Delta, we thought it would be neat to see. There isn’t much left of the old site, a well constructed memorial, and rows and rows of foundations that housed innocent citizens guilty of nothing, such an interesting phase of our countries history. 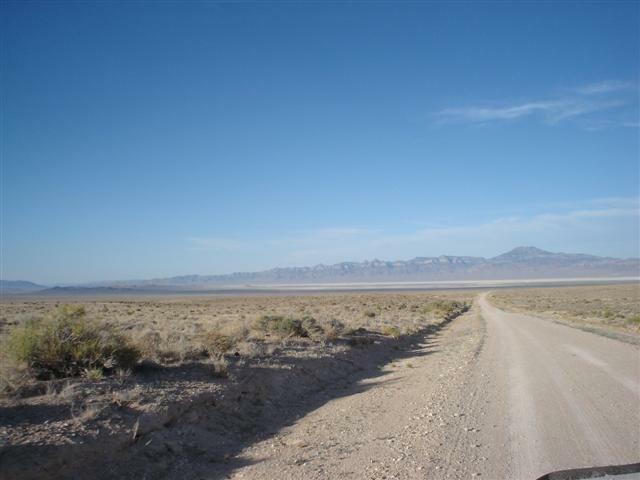 From Topaz we made our way north along a dirt road that paralleled the Sevier Desert. Ten or so miles north of Topaz we arrived at the Baker Hot Springs… at one time it was probably a nice place to visit, maybe when it is dark? In the light the area is littered with beer cans, underwear hanging in nearby trees, and broken glass all over. It didn’t take long for us to decide to move on towards home. Our trip continued past Crater Bench and Desert Mountain Reservoirs, and up over Desert Mountain Pass, elevation 5490. From Desert Mountain we traveled up Cherry Creek Canyon Canyon, stopping several times along the way to check out a small reservoir and an old mine site. We dropped out of Cherry Creek Canyon, along Vernon Creek where we stopped again at Vernon Reservoir. The lake was crowded with campers and fisherman, a nice little fishing destination close to the valley I suppose. From the reservoir we made our way back into Vernon, where we hit pavement for the first time since Delta. The journey started where it all began a couple of days earlier. I split from Tom and Steve in Vernon, I needed to make it to the airport to pickup Candace, so I finished my trip on State Route 36 through Faust, Stockton and Tooele, taking I80 out to the airport. 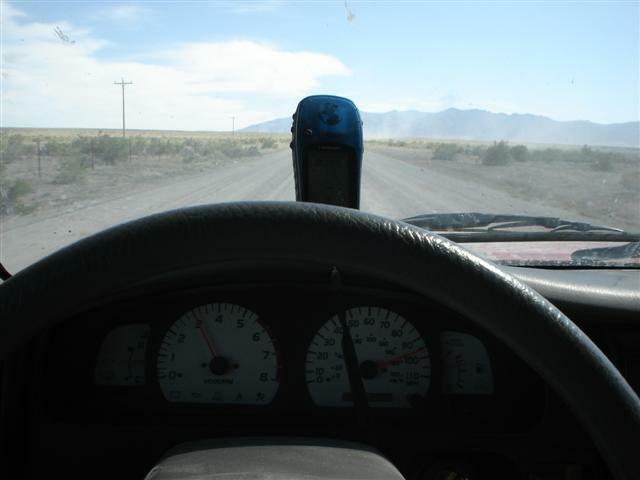 The mileage tally for the trip was ~450 miles in the dirt, ~600 total miles. Until the next time!